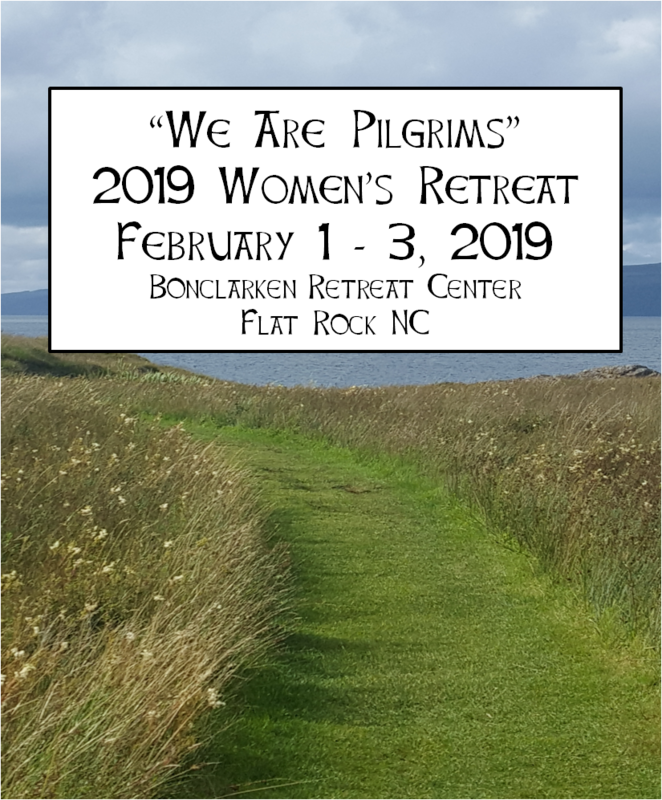 The annual Women’s Retreat began in 2010 with about 24 women who spent a weekend together at Bonclarken Retreat Center in fellowship, prayer, and study. The time together was so wonderful, the one-time retreat became an annual tradition! It’s grown each year but the purpose remains the same – a weekend away for reflection and renewal. We enjoy great fellowship and food as we spend the weekend together in worship, prayer, and study. Our group is always multi-generational and so much fun! Save the date for 2020! Friday, January 31 through Sunday, February 2, 2020 at the Lodge at Bonclarken. More details will be available Fall 2019. The 201 9 retreat was February 1-3. Our theme this year was Pilgrimage.